Back in 1997, ABC tried to sell viewers on the notion that broadcast television was still a vibrant form, launching a multi-million-dollar marketing campaign powered by a Coldplay song and* the three-word slogan “TV Is Good.” Nearly two decades latter, ABC and its Big Four compatriots, battered by a now-familiar list of enemies — DVRs! streaming! — would probably settle for selling audiences on a much less ambitious message: “TV Is Here.” And on that front, early ratings for the ten-day-old 2014–15 TV season suggest the networks are having at least some success. ABC, CBS, and NBC all increased their audience versus premiere week last fall (albeit modestly), with only Fox headed south (by double digits). This glimmer of hope hardly erases the myriad problems broadcasters face, but last week’s solid ratings at least demonstrated they still have the ability to get audiences to check out their wares at least once a year. Indeed, nearly two dozen network shows pulled in more than 10 million viewers last week, even before DVR replays were added in — a particularly impressive stat when you realize a big cable hit such as Sons of Anarchy draws about 7.5 million viewers (with DVR replays). 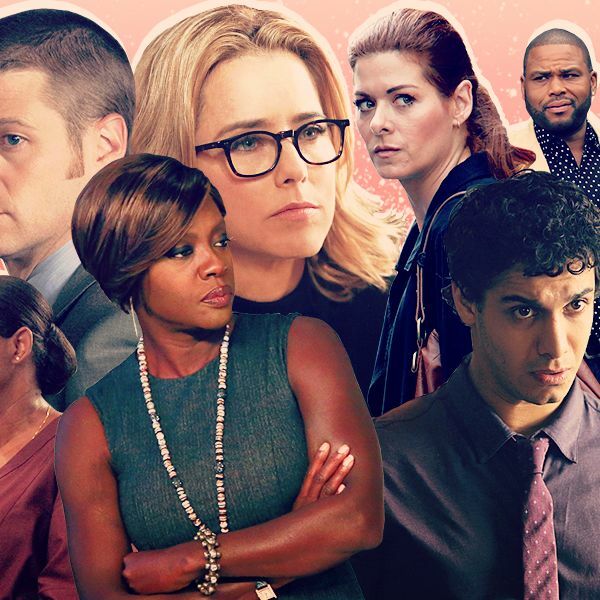 Beyond this bit of optimism, it’s best not to draw too many conclusions just yet about how individual shows and networks will end up performing over the course of the season. Yes, newcomers such as How to Get Away With Murder and Scorpion look like hits right now, but a year ago, so did The Michael J. Fox Show. So, as we did last fall, Vulture has decided to analyze the opening days of the new season not by identifying any “winners” or “losers,” but rather by identifying one bit of good news so far for each broadcaster — and one reason to be concerned. The good news: It’s got potential success stories on three nights of the week. Last Thursday’s unveiling of ShondaLand Thursday was a spectacular success, with How to Get Away With Murder fitting in perfectly with producer Shonda Rhimes’s other series on the night and the shift of Grey’s Anatomy and Scandal to earlier time slots working flawlessly. But the big Thursday numbers were expected. Much more encouraging for ABC was how well its revamped Wednesday comedy block did. The Goldbergs got a sophomore surge and appears to be a perfect match with The Middle, while rave reviews and aggressive marketing got audiences to sample black-ish in a way they didn’t with Super Fun Night or Mixology last year. It’s still far too soon to declare black-ish a hit (though ABC’s on-air ads have already done so), but at the very least, the show has a fighting chance (which last year’s newbies didn’t). The same can be said for Tuesday’s Forever, which managed the rare feat of doing better in its second outing than its first (though last night’s third episode took a troubling tumble in key demos, perhaps indicating the show isn’t immortal, after all). The bad news: The network’s Tuesday is still a disappointment. It’s possible Forever will stabilize in coming weeks, or prove to be a big gainer once DVR replays get counted. But the rest of ABC’s Tuesday isn’t looking so great. New comedies Selfie and Manhattan Love Story debuted to the lowest in-season ratings ever for ABC comedies among viewers under 50 (a 1.4 and 1.3 rating, respectively), mostly because ABC made the head-scratching decision to premiere them without any sort of lead-in, not even for a week. Compared to the numbers Fox is pulling for its established half-hours, or the ratings NBC generated last season with its Thursday shows, ABC’s newbies actually didn’t look so bad in their first outing. But most new shows take a hit in their second and third weeks, so odds suggest Selfie and Love Story will look even worse by month’s end — and will absolutely be doing much worse than Agents of S.H.I.E.L.D. did in the slot a year ago. As for Marvel’s big action drama, ABC had hoped the shift to 9 p.m. would give its same-day ratings a boost, but so far, that’s not happening: This week’s episode was the show’s least-watched ever in terms of same-day ratings. While S.H.I.E.L.D. is doing much better once DVR replays get figured in, it’s not at all compatible with the older, female-skewing Forever, so at best, ABC’s Tuesday moves seem to be a wash — so far. The good news: Viewers checked out its new dramas. For broadcasters, premiere week is all about convincing viewers to sample new wares, with the hope that at least a couple freshmen will end up long-term players. By this yardstick, CBS couldn’t have had a better opening to the season: All three of its new dramas drew more than 10 million viewers and did decently among key demo groups. Not surprisingly, NCIS: New Orleans got off to the fastest start, with over 20 million viewers checking out the latest iteration of a franchise. But positioning Madam Secretary and Scorpion behind, respectively, a big NFL game and the debut of The Big Bang Theory helped those shows score impressive openings, too. And second-week numbers for the newbies have also been solid, with Scorpion looking particularly good (in part because of CBS’s wise decision to keep reruns of Big Bang at 8:30 p.m. for a few more weeks). It’s a far cry from this time last fall, when the Eye was looking at burning wreckage of two new show on Mondays (Hostages and We Are Men). Big openings aren’t a guarantee of long-term success, of course, as The Michael J. Fox Show and The Crazy Ones demonstrated last season. But none of the Eye’s newcomers are in immediate crisis right now, which means they all have a shot to thrive if producers come through with good episodes in coming weeks and months. CBS can also be happy that The Big Bang Theory didn’t skip a beat with its temporary transition to Mondays, that Survivor remains a solid Wednesday anchor, and that Thursday football is providing the expected audience boost to that night. The bad news: CBS’s decision to move some of its older shows has not been without consequence. Taking a long-running show and shifting it to a new night or time almost always results in lower ratings for said show, if only because it disrupts viewing patterns. Eye execs knew that when they set in motion several schedule shuffles back in May, but the early declines are probably a bit steeper than CBS might have hoped. NCIS: L.A. lost nearly 40 percent of its under-40 audience this week when it moved to Monday at 10 p.m. (and fell to third place in its tim eslot), while shifting The Amazing Race to 8 p.m. Fridays resulted in similar huge declines. Adding insult to injury: The veteran hits didn’t boost CBS’s ratings in their new time slot. Still, CBS moved NCIS: L.A. and Race for a good reason: It wanted to give new shows (NCIS: New Orleans and Madam Secretary) a chance to build an audience in protected time periods. So far, that part of the strategy appears to be working. CBS now has to hope that some viewers were simply confused by the changes and will either track them down on their new nights or, just as likely, catch up via DVR. The good news: Last season’s comeback wasn’t an illusion. After nearly a decade of disaster, the Peacock sprang back to life last season, surging to No. 1 among viewers under 50 on the back of one big new hit (The Blacklist), one old hit (The Voice), and one big event (the Winter Olympics). Nobody at NBC seriously expects things to be so easy this season, but so far, the network has plenty about which it can be happy. The Voice, while continuing to grow a bit raspier, is still a dominant player on Mondays and Tuesdays (at least in its audition rounds). The Blacklist remains a broad-based hit in its second year, while Chicago Fire and Chicago PD are solid doubles later in the week. And while it skews much older than the usual NBC fare, Debra Messing’s critically pummeled newbie The Mysteries of Laura — in what may have been premiere week’s biggest shocker — drew 10 million viewers in its first 8 p.m. Wednesday airing last week. It even outdrew CBS’s Survivor and ABC’s comedies in overall audience. The NBC of Jeff Zucker would’ve probably killed Laura because its audience was too old (see: Harry’s Law), but new management is smarter. Barring a collapse over the next few weeks, Laura could be headed for 100 episodes and a long afterlife in reruns on USA or Lifetime. The bad news: Its comedy cupboard remains barren. The network that defined TV comedy for most of the past 30 years didn’t air a single half-hour sitcom during premiere week, a stunning admission of its weakness in the genre. In fact, NBC won’t launch a new half-hour until tomorrow, when Bad Judge and A to Z get the honor of premiering opposite ABC’s red-hot Scandal and Thursday Night Football on CBS. Viewers, not pundits or critics, decide whether shows live or die, so who knows how they’ll do. But there’s been little buzz about either series (save for scathing review for Bad Judge), and NBC’s scheduling of the shows suggest they’re being considered sacrificial Peacocks until The Blacklist moves into the 9 p.m. Thursday slot. Later this month, NBC will put forth a more serious attempt at comedy revival, when About a Boy and newbie Marry Me air Tuesdays from 9 to 10 p.m., after The Voice. It represents the best chance NBC will have this season at slowly starting to rebuild its tattered comedy brand. The good news: Gotham is off to a very good start. Months of marketing and the DC Comics brand name had most industry insiders fully expecting Fox’s before-Batman caper to open big last week, and it did (landing among Nielsen’s top five scripted network shows for the week among viewers under 50). What was even more impressive was that Gotham held onto 90 percent of its audience this week, and managed to tie NBC’s Blacklist among viewers under 50. That’s a far better week two performance than ABC’s Agents of S.H.I.E.L.D. turned in last fall, when it gave back over 25 percent of its audience with its second outing. There’s still plenty of time for fangirls and fanboys to bail on Gotham if the show doesn’t live up to their high standards. But early signs are very positive, potentially giving Fox a desperately needed new hit. The bad news: The network is bleeding viewers on four nights of the week. Former Fox Entertainment chief Kevin Reilly left the network over the summer, a sure sign that both he and his bosses knew the network was in for a rough year ahead. And that’s exactly what’s happening. Reality “experiment” Utopia was supposed to serve as a quasi-replacement for the canceled The X Factor, but it’s been a dud: Fewer than two million viewers bother to watch the show the days it airs on Tuesdays and Fridays (with DVR replays not making the audience that much bigger), and in key demos, Utopia is drawing barely one-third the ratings X Factor did early last fall. New drama Red Band Society failed to draw a big crowd with its debut (though it held onto that small audience in its second week, indicating there’s a least a loyal core for the show). As for returning shows, Sleepy Hollow is having more of a sophomore slump than surge (even if its ratings, particularly when DVR replays get tallied, remain solid). Tuesday comedies New Girl and Mindy Project do decently with females under 35, but they continue to struggle with everyone else. And while Bones gives Fox a pulse on Thursdays, moving the show has resulted in a predictable Nielsen decline. Things could get worse for Fox before they get better: Early buzz on new Sunday comedy Mulaney is pretty awful and expectations are low for Thursday “event” series Gracepoint (though it’s always possible it could surprise, particularly since there’s no other procedural drama in its 9 p.m. time slot). * ABC began its multiyear “TV is Good” campaign in 1997, though, as some commenters have noted, it didn’t start using Coldplay’s “Yellow” as part of the campaign until late 2000.